Join us for a Community Meeting with Officer Mike Borquez* and representatives of Councilwoman Kendra Black – Liz Zukowski and Steven Hlavac. District update will be provided regarding local crime and Neighborhood Watch Practices. All residents are highly encouraged to attend! *Officer Mike Borquez is the Denver Police Department District 3 Neighborhood Watch Community Liaison. 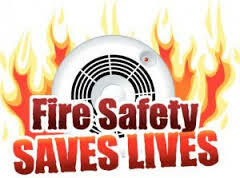 Fire Safety Equipment Reports are required annually from each owner/tenant! This is a new request for 2018. Are Now Due at the End Of February Every Year. It is required we have 100% participation! You have until February 28, 2018 to comply. Fines will be assessed for non-compliance!